How is it possible that a mother does not know her child’s favorite cookie? It’s a question I have asked myself several times. When our daughter had surgery several months ago, we went to help take care of her. One day I asked her if she would like me to make something special while she recovered. She said she was craving Oatmeal Chocolate Chip Cookies, adding that they were her favorite cookie. I had no idea!! In my defense, she tries to eat healthy foods (most of the time) so it just didn’t occur to me that she would want cookies. When I asked her if she wanted raisins in the cookies, she replied “sure, why not?! ?” with a big grin. It was possibly the medications talking, I’m pretty sure she doesn’t remember this conversation. 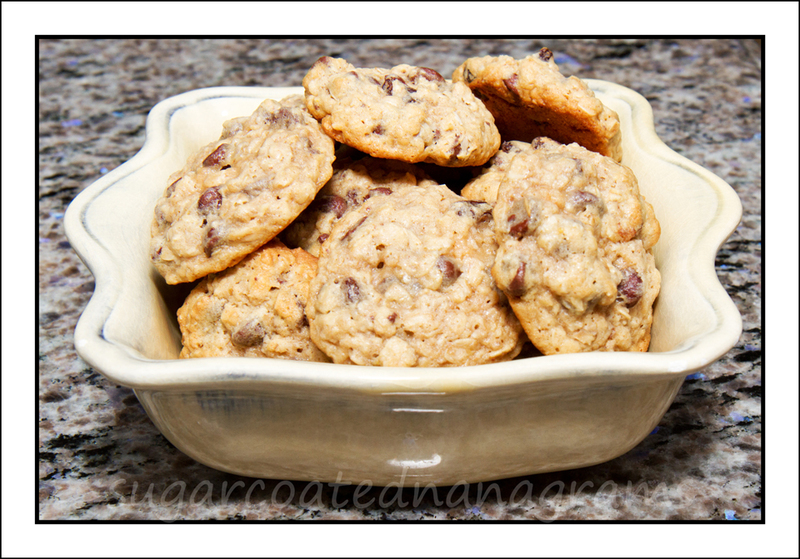 I’m not sure I had ever made Oatmeal Raisin Chocolate Chip cookies before, so I went in search of a recipe. 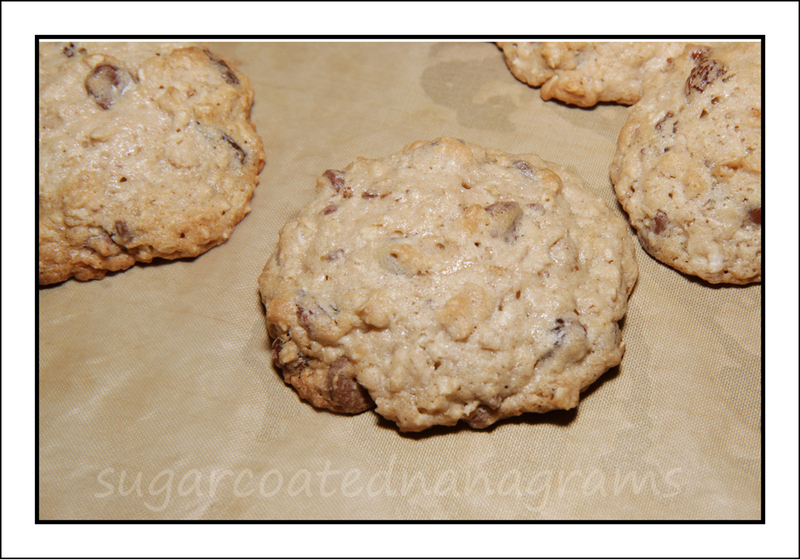 There were many, many recipes for Oatmeal Raisin or Oatmeal Chocolate Chip, and most of them claimed to be the “best.” I settled on a recipe that I found on Averie Cooks . I made a few small changes, like adding raisins and using all purpose flour. The cookies were a hit and I vowed to make them again. One word of caution when making this recipe. The cookies will look underdone when it is time to take them out of the oven. They will continue to cook while cooling on the cookie sheets. 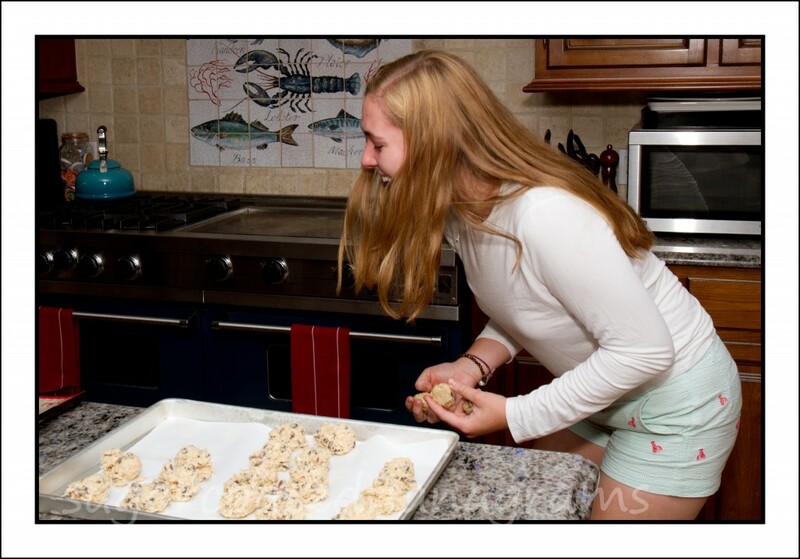 When we were at our daughters last weekend to stay with the kids while our daughter and son-in-law got away for a few days to celebrate their anniversary, my granddaughter asked if I was planning to bake while I was there. I told her that I wanted to make some more of the cookies I had made for her mom, but that I couldn’t find any oatmeal in the house. She had a friend coming over, and asked her to bring oatmeal for the cookies. I took the butter out of the refrigerator while waiting for her friend, and before long we were ready to bake! 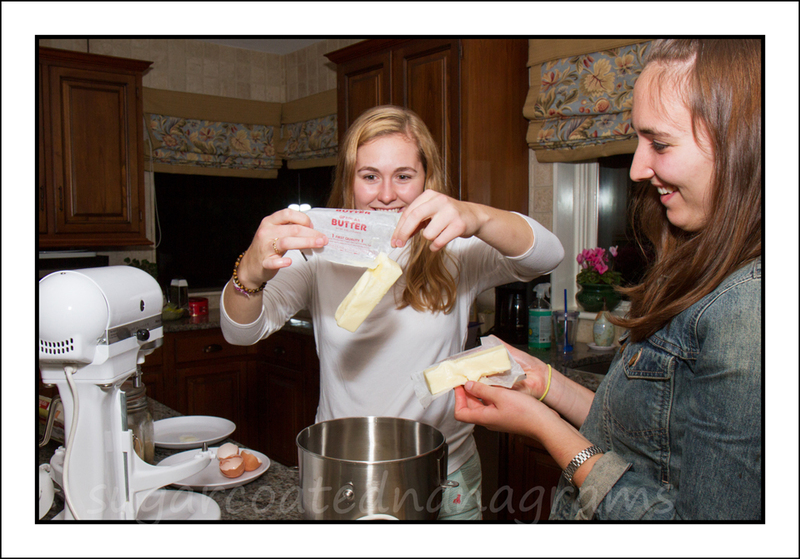 The girls were so much fun to bake with, and at times it felt like a three ring circus in the kitchen. 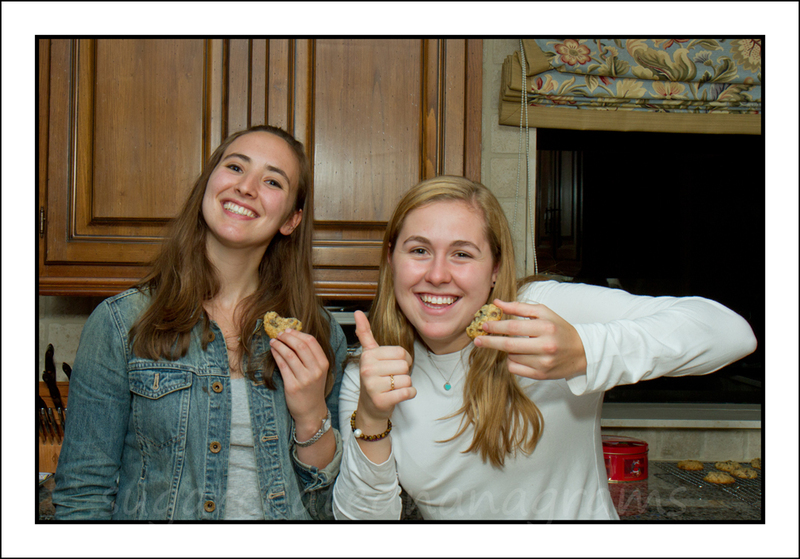 Not only was I entertained by their antics, but we somehow managed to get the cookies made, chilled and baked, as well! 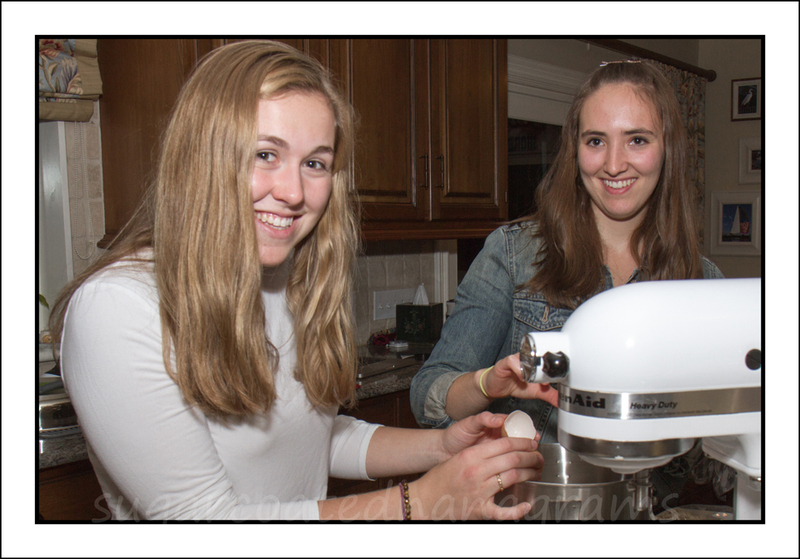 Combine the egg, butter, sugars, and vanilla in the bowl of your mixer. Beat on medium-high speed until creamed and well combined. Scrape down the sides of the bowl, and add the oats, flour, cinnamon, baking soda, and salt. Beat on low speed until just combined. Scrape down the sides of the bowl, and add the chocolate chips, and raisins. Mix on low speed until combined. Drop by tablespoons (or use a small cookie scoop) onto a cookie sheet. At this point, they can be spaced close together to save on refrigerator space. Refrigerate for at least 2 hours or overnight. If you want to keep them refrigerated for several days, cover the cookies with plastic wrap. You may also freeze them at this point. Preheat the oven to 350 degrees Fahrenheit. Line a baking sheet with parchment paper or a silicon baking mat. 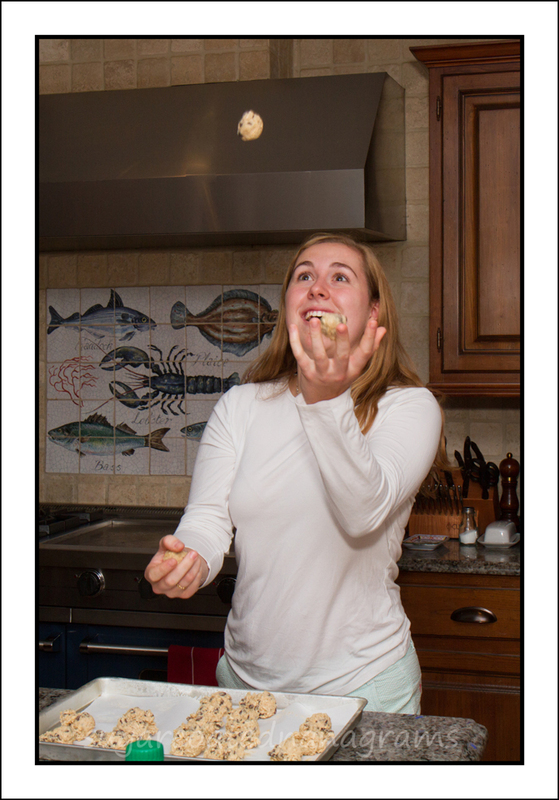 Remove cookies from refrigerator, roll into a ball and place on a parchment lined cookie sheet. Slightly flatten the cookies. Bake for approximately 11 minutes, until just the edges are brown. Don't over bake. They will not look done but if you bake them until they are brown all over, they will be dry inside. The cookies will continue to cook and firm up as they cool. If possible, allow cookies to completely cool on the cookie sheet or for a minimum of 10 minutes before moving to a cooling rack. 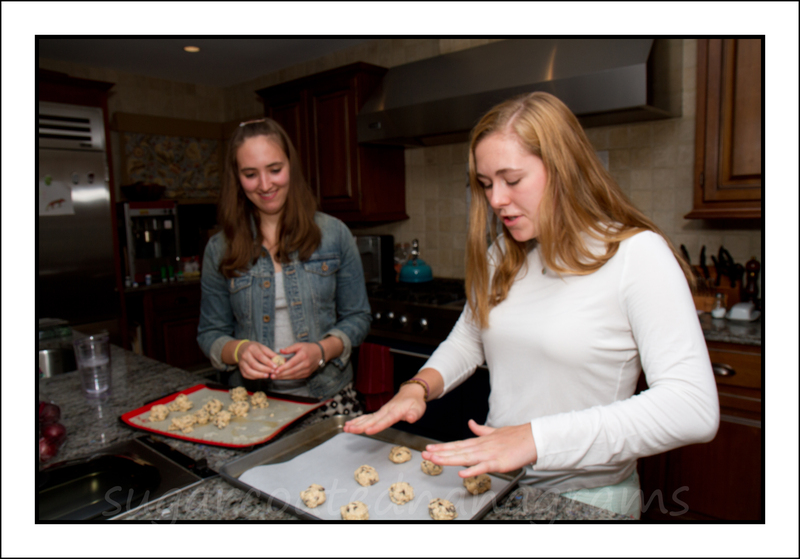 Cookies will keep, in an air tight container, at room temperature for up to 1 week or in the freezer for up to 6 months. You can also freeze the cookie dough, as preformed cookies, and cook a few at a time.